Learn about the new practices that go way beyond what Scouting leaders may already know as "first aid." This will help you cope with medical emergencies in the wild and perhaps more importantly, to be a more effective manager in any crisis. This course is a BSA Policy Requirement. 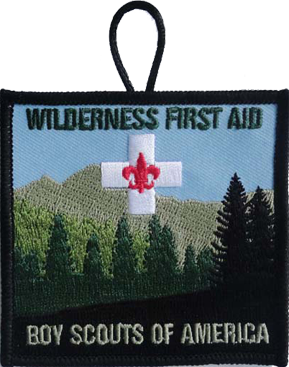 As of 2008, the requirement is for at least one leader in each group, not just unit, must have this certification for high adventure camps. So, if your unit has a trek that will be broken into multiple groups you will need one leader per group trained. PREREQUISITES Must be at least 14 years of age or older. IF you need or want CPR/First Aid/AED training please register for the training which is offered after the completion of the Wilderness First Aid.